It’s not often you see a LEGO animal built almost exactly to scale. 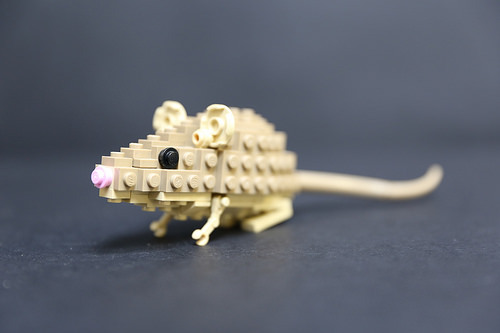 But this fantastic mouse by Thomas Poulsom (of LEGO Birds fame) looks almost ready to scuttle off around your house in search of cheese. I love the beady black eyes, the pink nose, and the way Tom has done the ears. And the whole creation is enhanced immensely by the short depth of focus — adding a fuzzy close-up feel which further reinforces the small scale. Squeakily-good stuff.